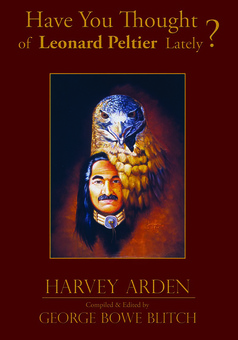 HYT Publishing began in 2004 with our first book, Have You Thought of Leonard Peltier Lately? We spent over a year compiling it and we eventually decided to try to publish it ourselves. Little did we know what work awaited us! Well, here we are, many years later, and now we have numerous titles that we are very proud to bring you! After publishing "Have You Thought of Leonard Peltier Lately? ", we republished Arvol Looking Horse's "White Buffalo Teachings"- in commemoration of World Peace and Prayer Day. Our third book, "Voice of the Hawk Elder", won the Best Book Award in the Native American category for USA Book News. Last year, we added two Spoken Word Audio CDs, "My Life Is My Sun Dance" and "Noble Red Man", to our collection of work. Both CDs were nominated for a total of 5 Native American Music Awards. "My Life Is My Sun Dance" ended up winning the Native American Music Award for the "Best Spoken Word" category, which was truly an honor! We are truly excited to announce that we are now offering some of our book in electronic formats, also known as eBooks, for your various eReader devices and tablets. Dreamkeepers, a book Harvey Arden wrote in 1994 about his journey into the heartlands of Aboriginal Australia, where he met with the Keepers of the Dreamtime, is now available for your Kindle through Amazon.com - get your copy today! More books, and more formats, will be available very soon...stay tuned!!! We want to thank everyone that has supported us, in any way, over the last 12 years! We're excited to continue to bring you new projects that we have taken a vested interest in. We are proud to work with the people we work with, and we are even more pleased to share our experiences of these journeys with you.